You will hear more than 40 original poems, archetypal insights, and dozens of strengthening stories from Dr. Estés' own family's oral traditions. 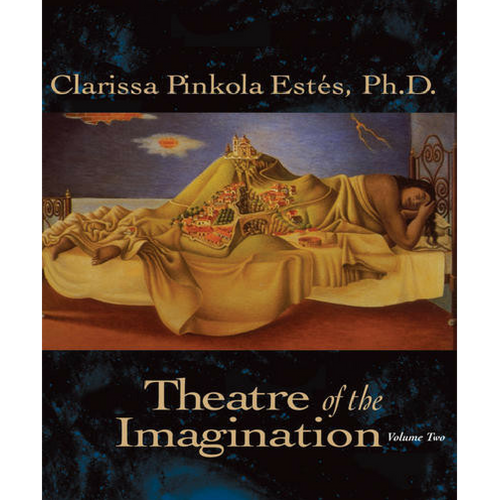 Dr. Estés teaches that each story holds a key to a deeper self-knowing: "Stories cut fine wide doors in previous blank walls, openings that lead to the dreamland, that lead to love and learning that lead us back to our own real lives." Presented in her one-of-a-kind lyrical style, Theatre of the Imagination seats you in the front row at these performances of a lifetime. More than five hours of signature stories, plus earthy and wise advice, archetypal insights, poetry, and much more.